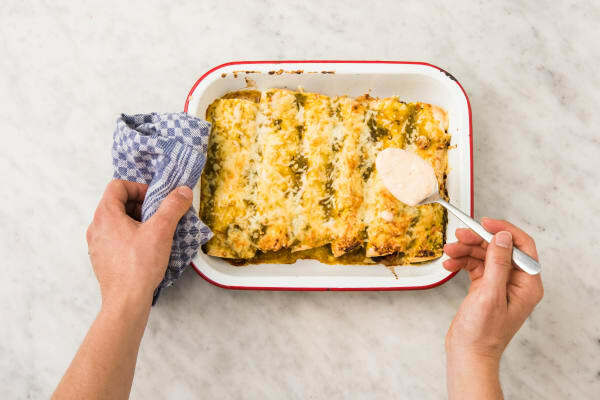 Saucy, smothered, hearty, and delicious: this enchilada bake has everything you could possibly want in a recipe. 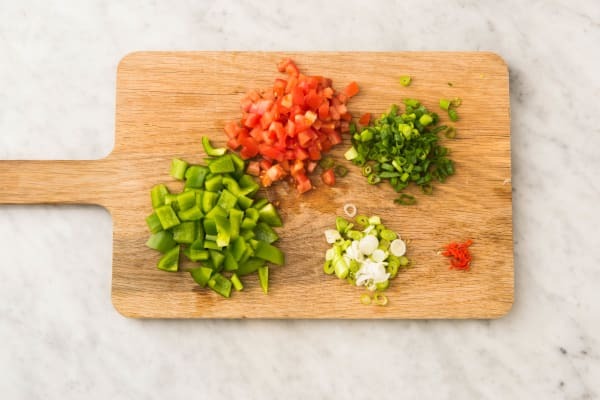 You’ll make it by wrapping tortillas around a filling of poblano pepper, tomato, and beans, then coating the bundles with a healthy glug of mild green salsa and a sprinkle of Monterey Jack cheese. Put it in the oven and let it get piping hot and bubbly, and all you’ll have left to do is add a drizzle of spiced sour cream and dig in to that deliciousness. Adjust rack to upper position and preheat oven to 475 degrees. Wash and dry all produce. Trim, then thinly slice scallions, separating whites from greens. Core, deseed, and dice poblano. Finely dice tomato. Thinly slice chili, removing ribs and seeds first for less heat. Drain beans over a small bowl, reserving liquid. Heat a drizzle of oil in a large pan over medium-high heat. Add poblano and cook until just softened, about 3 minutes. Meanwhile, in another small bowl, set aside ½ tsp Southwest Spice (we’ll use the rest in the next step). 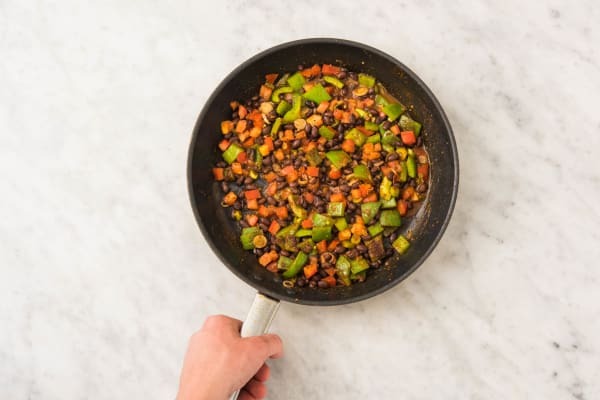 Once poblano has cooked 3 minutes, add tomato, scallion whites, half the beans, 2 TBSP reserved bean liquid, and remaining Southwest Spice to pan. Cook, stirring, until fragrant and warmed through, 2-3 minutes. Season with salt and pepper. Heat a large drizzle of oil in a small pot over medium-high heat. 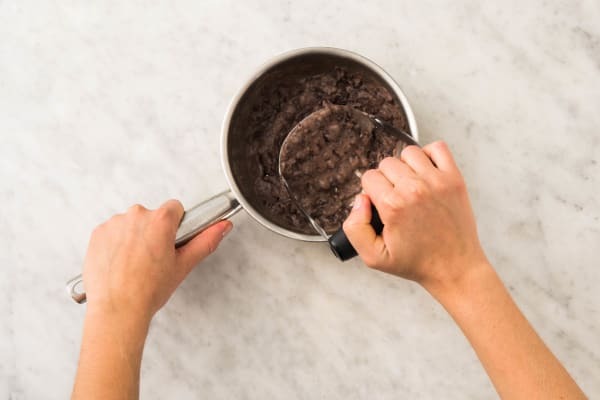 Add remaining beans and cook, stirring, until beginning to soften, 2-3 minutes. Add 3 TBSP reserved bean liquid (you may have some left over). Let simmer until warm, 1-2 minutes. Lower heat and stir in 1 TBSP butter. Turn off heat, then mash with a potato masher or fork until mostly smooth. Season with plenty of salt and pepper. Spread tortillas with mashed beans. Place a small amount of filling on one half of each tortilla. 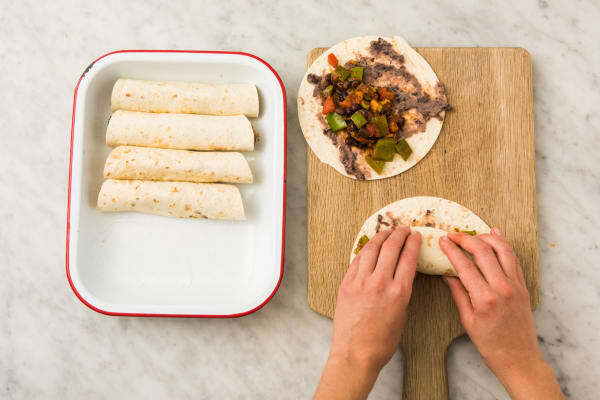 Roll up tortillas, starting with the filled side, and place seam sides down in an 8-by-11-inch baking dish or ovenproof pan. Spoon enough salsa over to generously coat (save the rest for another use). Sprinkle with cheese. Bake until salsa is bubbly and cheese melts, 3-5 minutes. Meanwhile, add sour cream to bowl with reserved ½ tsp Southwest Spice. 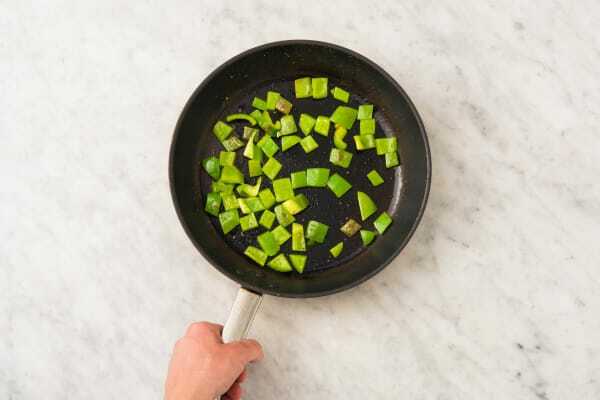 Stir in 1-2 tsp warm water, or enough to create a drizzling consistency. Season with salt and pepper. 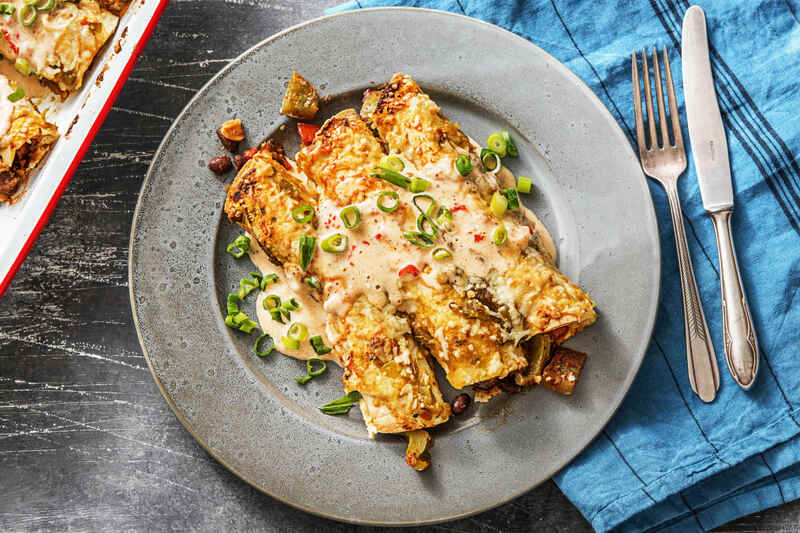 Drizzle baked enchiladas with crema. Garnish with scallion greens and chili (to taste). Divide between plates and serve.